Marvel’s first black comic superhero emerges through its latest masterpiece; one that weaves together culture, politics, and art. 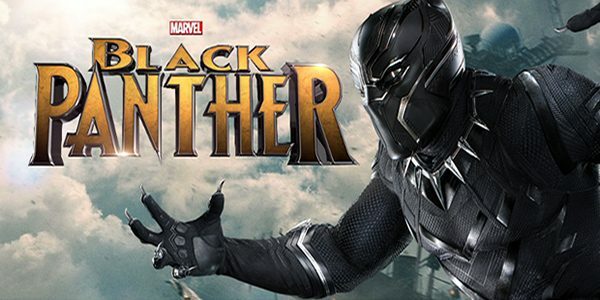 Directed by Ryan Coogler, Black Panther is an emotional roller-coaster that brings viewers through an action-packed storyline filled with strong characters, stunning scenery, and topped off with an exceptional cast. 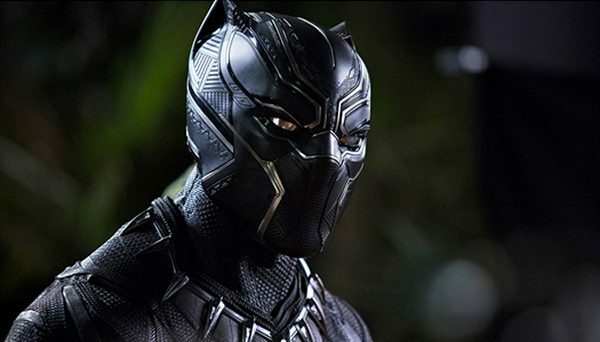 After the death of his father, T’Challa (Chadwick Boseman) returns to his homeland to claim the throne as the rightful heir. Wakanda is a remote and technologically-advanced African nation that the hero must learn to rule. Nonetheless, T’Challa’s reign is contested after secrets have been uncovered, and an unexpected enemy dares to challenge the young ruler. Along with his allies, T’Challa must summon the full power of the Black Panther to defeat the threat that is menacing Wakanda and the world beyond. Undoubtedly, Marvel has produced a super-hero movie that is incomparable to any other. Most notably, it is the first movie in the franchise to feature a black hero. In fact, the movie stars a predominantly black cast consisting of many well-known faces. Michael B. Jordan portrays the villain, Erik Killmonger, while Lupita Nyong’o takes on the role of the hero’s lover and sidekick, Nakia. 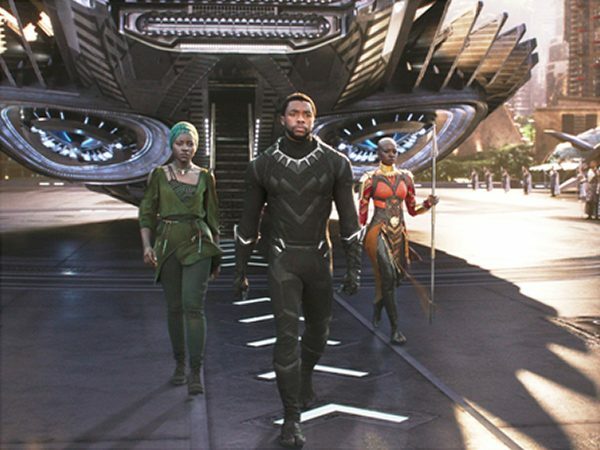 These characters are placed into the Afrofuturistic Wakanda, a fictional nation which breaks away from the stereotypes surrounding Africa as a poverty-stricken continent. “Cinema has long reduced Africa to a faraway land filled with wild animals, wars, poverty, and Aids – but perhaps this new Afrocentric epic will put an end to the clichés,” says The Guardian. Aside from the film’s remarkable cast, Marvel has raised the bar with the inclusion of numerous powerful female characters. Shuri (Letitia Wright) plays an important role as the technologically-skilled princess of Wakanda who fights alongside the hero. 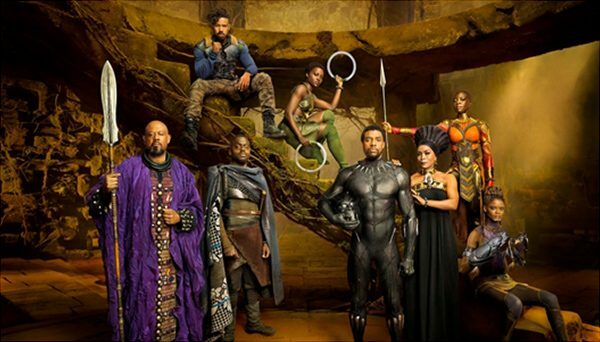 Moreover, one cannot overlook Wakanda’s brave female warriors who protect the royal family and significantly contribute to the storyline – Okoye (Danai Gurira) and Nakia. Packed with hip-hop and R&B stars, the film’s soundtrack pulls the audience into an energetic experience with original tracks from Kendrick Lamar, The Weeknd, 2 Chainz, Future, and Vince Staples to name a few. As the Black Panther makes his debut, viewers follow T’Challa when he takes his first steps on the path to becoming a king and a superhero. The Black Panther is a character who we can relate to on an emotional level. The audience witnesses the character’s internal conflict while his morals are tested. The same can be said about Erik Killmonger, a villain who is brought into the story differently from any other Marvel film. “Michael B. Jordan’s Erik Killmonger is the best villain since Loki, and has motivations that will get you emotionally invested,” says Business Insider.